﻿ Sea Jewel Beach Resort, Puerto Galera | FROM $42 - SAVE ON AGODA! "The deluxe twin is a different building from the beach resor..."
Have a question for Sea Jewel Beach Resort? "Unlike the negative reviews here, my family enjoyed our stay in this hotel." "Mobile data has good coverage but similar with other hotels in the area, wifi is only available at the lobby/ restaurant area." 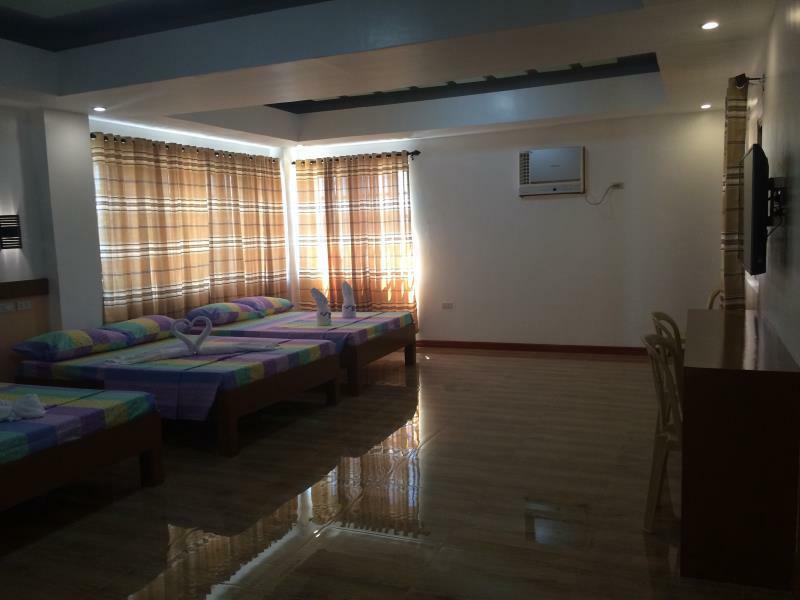 "The location is very accessible, walking distance from the white beach where various restos and resto bar are also located." "The staffs were nice enough to accommodate us." 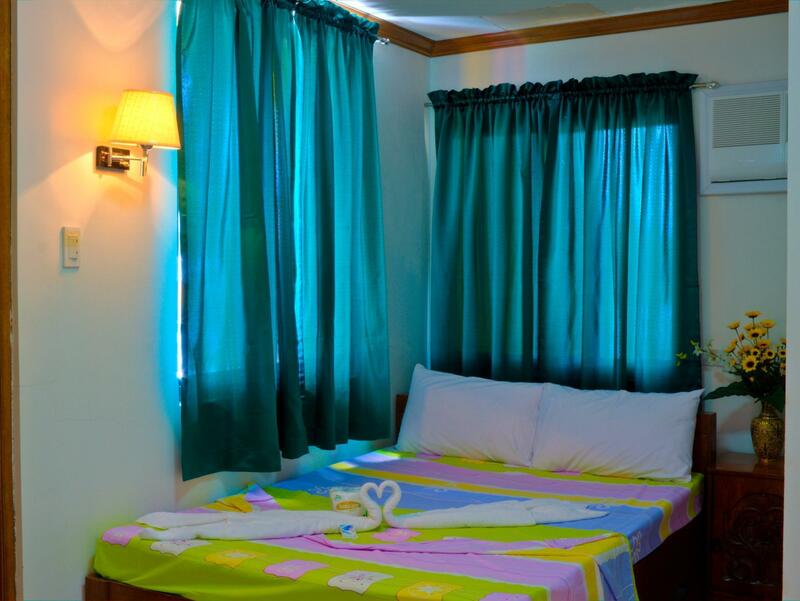 For travelers who want to take in the sights and sounds of Puerto Galera, Sea Jewel Beach Resort is the perfect choice. Only 15. Km from the city center, the hotel's strategic location ensures that guests can quickly and easily reach many local points of interest. For those of you who want to venture out, Jubelle's Handicrafts, Father and Sons shipping Lines, Tia Maria's are just some of the attractions available to visitors. At Sea Jewel Beach Resort, the excellent service and superior facilities make for an unforgettable stay. While lodging at this wonderful property, guests can enjoy Wi-Fi in public areas, car park, airport transfer, restaurant, tours. 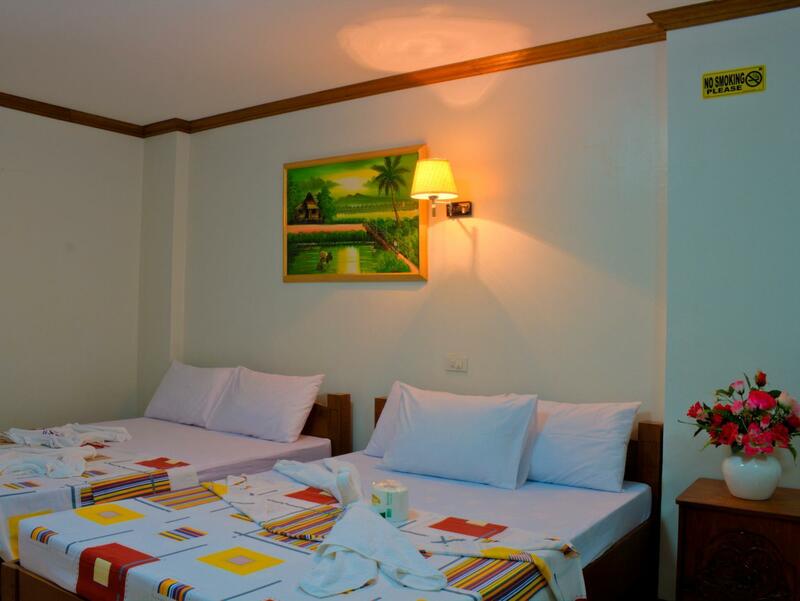 The ambiance of Sea Jewel Beach Resort is reflected in every guestroom. 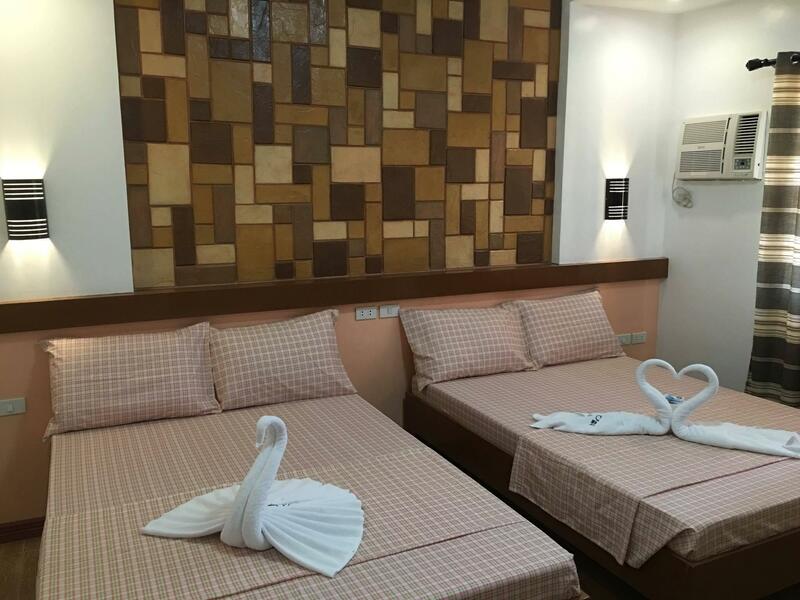 television LCD/plasma screen, mirror, towels, closet, non smoking rooms are just some of the facilities that can be found throughout the property. Whether you're a fitness enthusiast or are just looking for a way to unwind after a hard day, you will be entertained by top-class recreational facilities such as diving, fishing, massage, water sports (motorized). 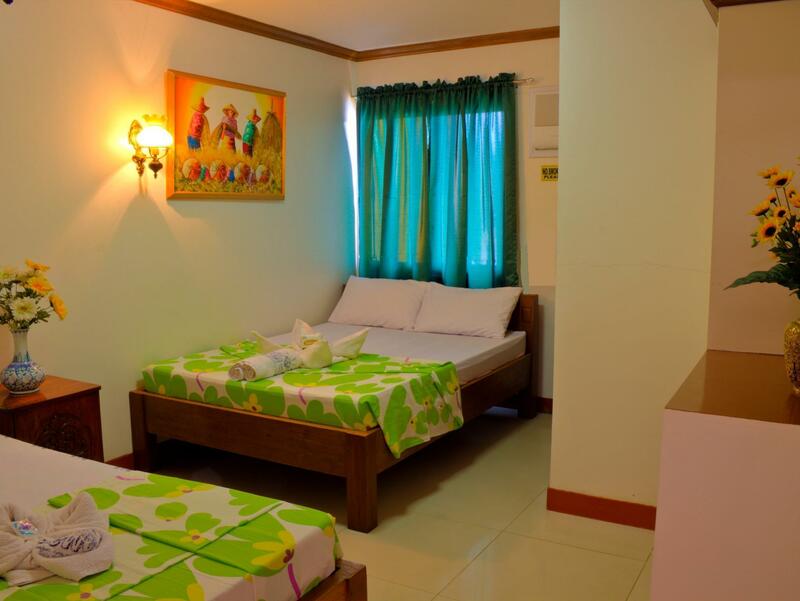 Sea Jewel Beach Resort is a smart choice for travelers to Puerto Galera, offering a relaxed and hassle-free stay every time. "Excellent location and reasonable price." Unlike the negative reviews here, my family enjoyed our stay in this hotel. The staff at the front desk greeted us with a smile when we arrived and all our queries were answered. Their marketing manager met us at Batangas Port, giving us further instructions in going to the hotel. Also, upon checkout, they assisted us in booking our return trip and in getting a tricycle which will bring us to Balatero Port. We didn't try their restaurant though as there are a lot of dining options to choose from along the White Beach shore. The room was big enough for a family of 5 and we did not have problems regarding the signal of TV cable. Mobile data has good coverage but similar with other hotels in the area, wifi is only available at the lobby/ restaurant area. Some points for improvement though - toiletries were not provided except for the bath towels and a tissue roll; water pressure is not enough to provide abundant supply of water for shower (which is understandable though due to the area). 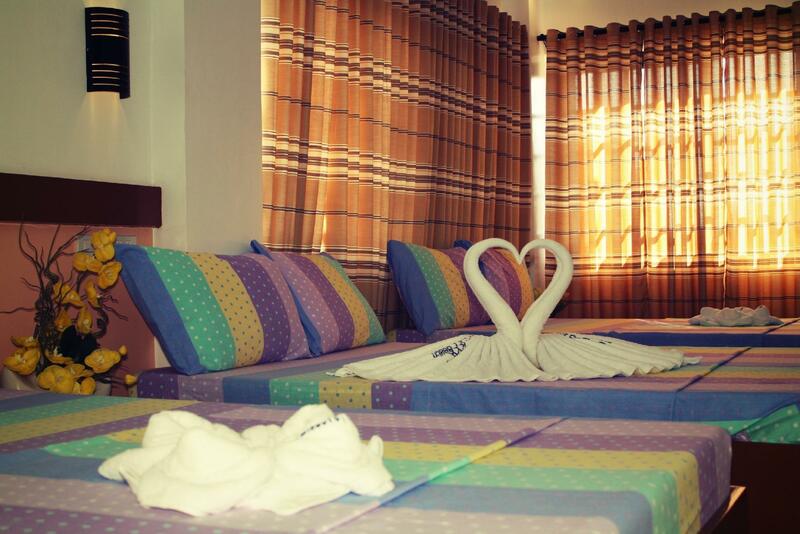 It’s pretty near to the beache, the staffs are very friendly, love the towel shaped swan. It’s more cheaper to just go there walk in than booking on agoda. The rooms look pretty old, tv is old but works fine, it smells like an old house. Very were nice staff ( I made a mistake regarding the date of my stay...which they helped me out with...and which I appreciated) but the complex is aged and does not much in the way of creature comforts. No refrigerator in the room, old TV and no milk for the coffee or tea served with breakfast - which was extra. I wouldn't have been concerned with paying extra for breakfast if I wasn't paying 2100php + for such a basic room. Needs to be renovated or drop the price of the rooms. Also lots of mosquitoes coming through the unscreened windows. The location is excellent though. Only 2 minutes walk to the gorgeous White Beach. I stayed in New Sea Jewel, a bit far to the beach as i thought it is step away only, but actually around 1 minute away. The owners of the hotel usually sitting in the lobby watching TV, didn't smile or greet to guests, which I think it is quite weird. There is almost nothing inside the room, only a TV, pillow, bed sheet and that is all. I would say overall it is still OK if you want to have a new, quiet, reasonable place to stay. 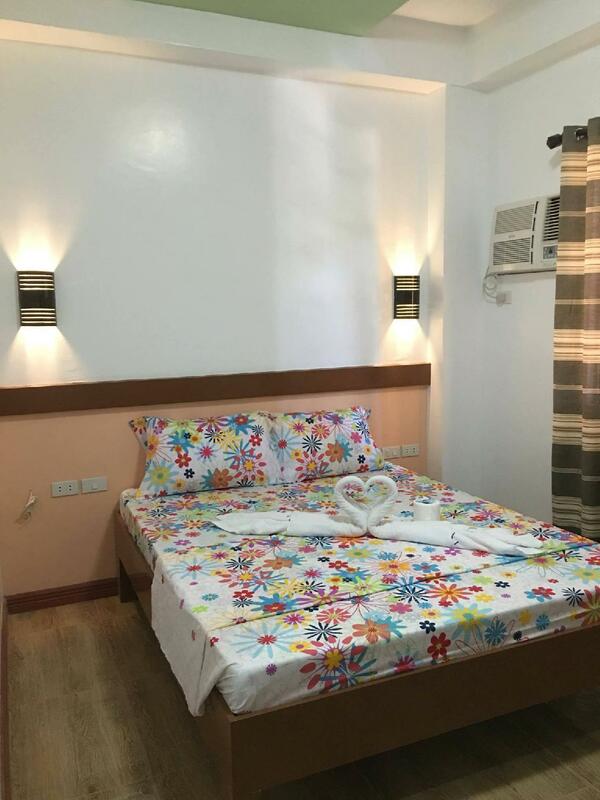 Pros: New Rooms, (deluxe rooms) Secured location, owner is always at the front desk to check people going in and out of the hotel, clean and decent rooms, delicious breakfast, very accomodating hotel staffs. Will book them again when we come back to Puerto Galera. If it wasn't for the very energetic and helpful staff it'll be rated lower. But the room was spacious, safe, and near the beach. The shower heater didn't have hot water, it was boiling water rather😂 but with everything else considered, it was a pleasant stay. We usually have our annual PG moments and it started way back high school years. Me and my friends have spent years going back and fourth to PG for relaxation, moments together, countless talks and fun nights. Sea Jewel Beach Resort has been our best hotel in PG so far. Looking forward on our trip next year and hopefully we can stay in this place again. Thanks! You'll get what you pay for. They have the best staff!!!! Near the beach (compared to other resort). It was agoda's.fault. They did not elaborate or we are not aware how the resort is. Cause we are looking for a free bfast and also with a balcony. And its so pricy. Its more likely a.transient house. Me and my friends are so dissapointed about the room. Were all smokers and then we didnt know that smoke are not allowed in the room. When I went to take a shower in the evening of the day that I arrived, found out that there was no soap. Was told in the morning by the front desk that it's by request. Should have been advised when I checked in. No towel bar. Was told by the owner that guests hang their towel on shower curtain rod. Seriously? You have to stand to reach for the toilet paper because the toilet paper holder is not within reach. Whoever installed it had no common sense and passed the owner's low standard. Only one pillow. The standard is two pillows. The room smelled of very cheap freshener. I coughed as soon as I entered my room. Stayed for only one night but had a sore throat for 3 days due to the toxic freshener. A place just to rest and sleep after a long tiring day at the beach. Very basic, a bed, aircon, toilet/shower and tv with cable. Sometimes the water supply may be low. Hot and cold shower available. Downside would be, if you’re needing hot water for your coffee cup or cup noodles, there is a 5php fee per cup. 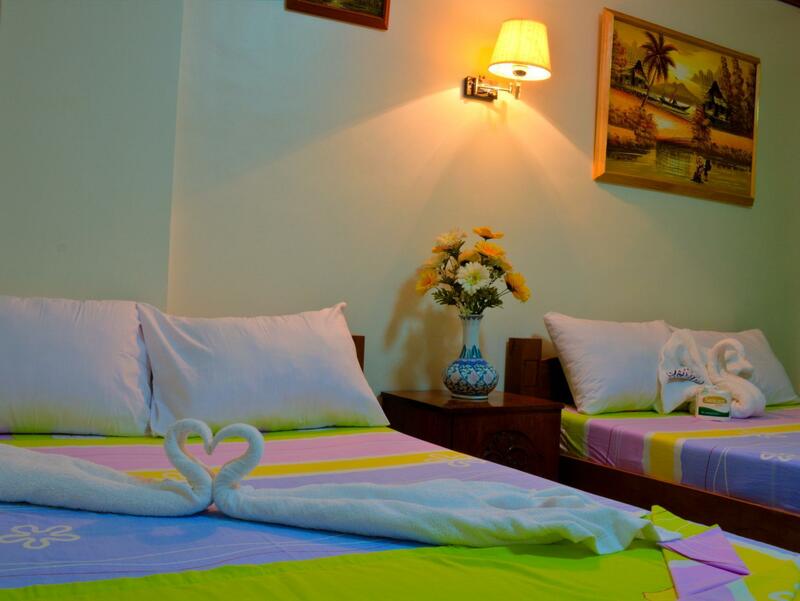 The resort is few walks away from the beach which is very convenient. If you are up for night partying, this is one of the better locations to stay as well. WIFI is okay, although it's only available at the lobby. Hope thay can also provide for the rooms. The room itself is clean but somewhat lack the basics (shower curtain, better blankets, and mats.) Overall stay is 3.5/5 we may comeback here, but will surely check other accommodations first. Excellent location and reasonable price. Plus point for the generator since brownout is expected in the area. Pool is okay. Cons are - rooms are not sound proof, you can hear the loud noises of the drunk guests laughing, running in the corridor and slamming of doors which is so irratating we can't sleep. i'll understand though if the room is not sound proof since it is a budget hotel/resort, but they can resolve this issue by having staff that will regulate those type of guests and to control the noise of their premises. Also, it is difficult to contact them after i booked here in agoda. Since i have queries with locations, confirmation and checking in regulations, i reached out to them via email, fb and contact number provided but only to be seenzone and received a reply 3 weeks after which i found disappointing and not helpful for me to settle immediately our concerns. The staff are always frowning when we approach them. The room has so many mosquitoes when we checked in, they sprayed bug spray so the mosquitoes are gone after a while. We can see that the beach resort is not well maintained. Not a value for money at the old resort. We stayed there during the summer, just before the holy week. However, the room’s airconditioning took a while to make the room cool. Also, the water flow in the restroom is very weak, so it took us some time to complete our business (we’re a group of 4). Also, the cable TV kept losing signal, so there were times when we couldn’t watch anything at all. Nonetheless, the hotel’s location is just a few meters to the beach, and is very quiet at night (you won’t hear the party at the beach). Plus, the hotel’s staff were very friendly and accommodating- they even arranged for our return boat tickets to Batangas Pier. Poor coordination with Agoda and handling guest matters--better to book and coordinate directly with hotel staff.